If you're a gamer, you've probably played a few of Activision's titles in the past. 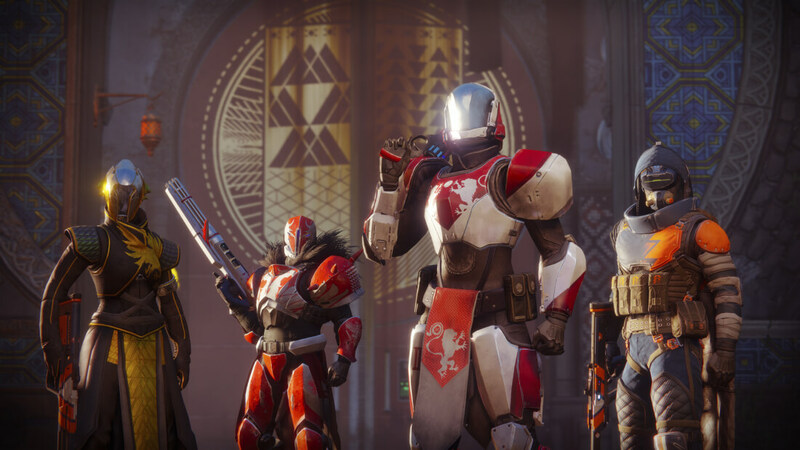 As the publisher behind the ever-popular Call of Duty franchise and the recently released Destiny 2, Activision is a company that has received both widespread praise and criticism for its published titles over the years. While much of that criticism has started to die down recently, a patent recently issued to the publisher has once again drawn fire from the public and prominent figures in games media. 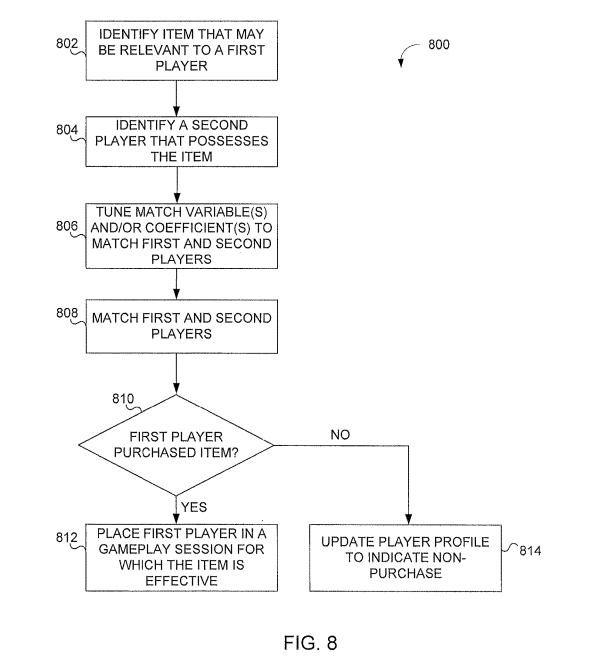 Initially filed for in May 2015, the patent details a method of "[arranging] matches to influence game-related purchases" - in other words, the company invented a microtransaction-based matchmaking system. The way this matchmaking system would work is by matching "expert/marquee" players that possess powerful or otherwise desirable weapons and items with junior players who lack them. If the marquee player wins the match against the junior player, the latter "may wish to emulate the marquee player" by purchasing those weapons or items. If the junior player does so, they would then be segmented into a different branch of the matchmaking system where the cycle begins anew. If they do not, the player's profile is "[updated to] indicate non-purchase." 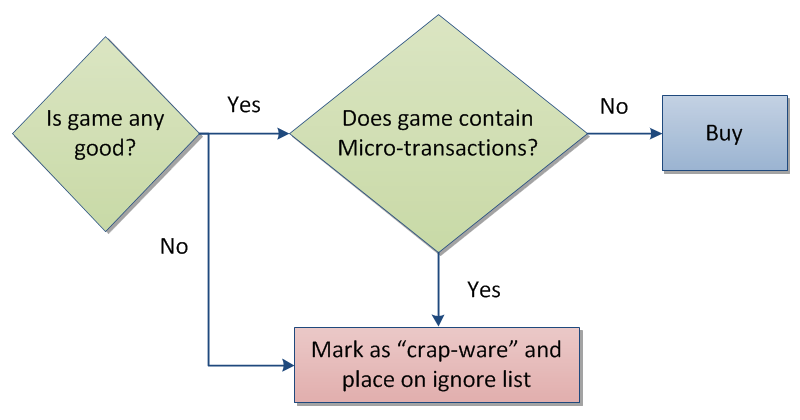 "The following graphic (provided in the patent itself) shows how Activision might implement such a system:"
Satish Mallya, Theinsanegamer and Reehahs like this. So let me get this straight, the game will match you against players with better items almost guaranteeing failure, as a way to tempt you in to buying the better players gear? Now say you defeat the player with the better gear, you should get that gear for free instead, it would only be fair and without said clause any game developer who decided to license this will be permanently put on my "do not buy" list. Well really any game that has micro-transaction as a way to improve your ability against other human players is already on that list. Reehahs and BSim500 like this. And so AAA dev became mobile dev, which is just sales dev, paving the way for indie dev to become the last bastion of game dev. Reehahs and Panda218 like this. I'm happy the I've basically grown out of videogames. funglebuddy and BSim500 like this. Or maybe they could just focus on the gameplay instead of squeezing more money with such under the hood design trickery. Innovation is happening, just on the wrong side. funglebuddy and Theinsanegamer like this. Being able to patent such simple algorithms shows as time and time again that US patent system is fundamentally flawed. And besides that, the idea is just freaking stupid. How can that be patented?? ?